Well, I couldn't very well post some children's books on gratitude without recommending a couple of books for grown-ups. As much as I'm a fan of literature-based learning, the "book" my children read everyday is my life. I model my heart of gratitude (or greed) each day through what I say, what I spend my time doing and what expression I wear on my face. Usually what I've been reading and pondering have a big impact on the story I live. Cultivating gratitude goes beyond just counting our blessings and feeling good about our lives. A deep seated gratitude releases us and fuels us to live the way we were created to live in God's image. In The Message, the latter half of Romans 12:1 is translated "Don't become so well-adjusted to your culture that you fit in without even thinking. Instead, fix your attention on God. You'll be changed from the inside out. Readily recognize what he wants from you, and quickly respond to it. Unlike the culture around you, always dragging you down to its level of immaturity, God brings the best out of you, develops well-formed maturity in you." Ponder those words for a moment. What would that look like in real life? If you want to see what that counter-culture lifestyle looks like, read this book. Born and raised in the ritzy suburbs of Nashville, Katie Davis lived a charmed American life. Homecoming queen, top of her class, she says in her introduction that she, "dated cute boys, wore cute shoes and drove a cute sports car." She was on a track to go to college, marry her sweetheart and live a comfortable life. 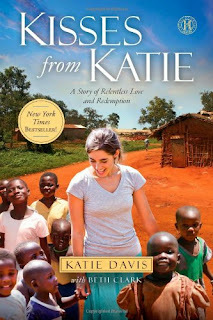 Kisses From Katie tells the story of how she fell head-over-heals in love with Jesus and the people of an impoverished Ugandan village during a short-term missions trip. It's been more than five years, and Davis is still in Uganda. She's bid goodbye to her former life and culture. And she's so thankful for the materially spartan but busy and spiritually rich life she now lives. She's started Amazima, a ministry that sponsors children so they can attend school and stay with their birth families. More importantly, she's become adoptive mother to 14 children. Now, when I first read about Davis adopting all these children, some of whom she nursed back to health from the brink of starvation and fatal disease, I was a little skeptical- perhaps even defensive. How could a girl in her early twenties truly be a mom to all those kids? I mean, I have trouble truly loving my tiny brood of three most days. I thought she must have been more like a teacher at an orphanage school or a den mom at a girl's home than a real mom. But by the second half of the book, I saw; no, I felt her mother's heart for her girls. And I saw what it looks like to be genuinely yielded to God, and filled to overflowing with his Spirit of love. 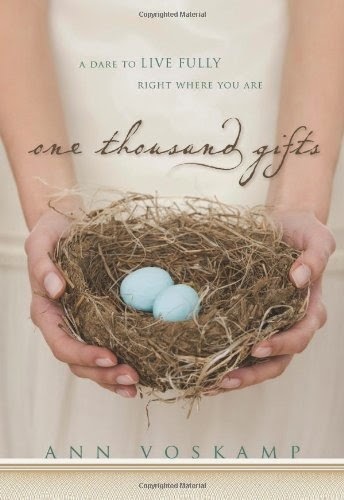 Davis recognized what God wanted from her and quickly responded to it. In return, he brought out the best in her. I'm not going to give away more of the plot because I want you to read this book. For my fellow Hoptowners, it will be at the library this weekend after I return it :).